My mother’s eldest brother used to run a small factory at Kwai Chung making zippers. He started his business in the early 1960s with a tiny investment from friends and relatives. The mainland’s open door policy fundamentally changed Hong Kong’s economic landscape, if not the world’s. Factory owners could choose to move its production line to the north or expect to be gradually eliminated by our extremely cost-competitive neighbors. My uncle chose to close the factory and retire by his mid-fifties, after running it for a quarter of a century. It was the anecdote of the people under the Lion Rock. It was also how Hong Kong moved up the value chain when the circumstances changed. Nowadays, Hong Kong has very little agricultural and industrial outputs. However, our citizens enjoys the highest standard of living with the widest possible selection of everything. Free trade makes it possible. It is also why Hong Kong used to be the world’s busiest port. Growth of Hong Kong ports’ throughput was phenomenal especially after mainland’s open door policy in the 1980s. I must also add that the workforce in Hong Kong was also used to be the world’s most hardworking. 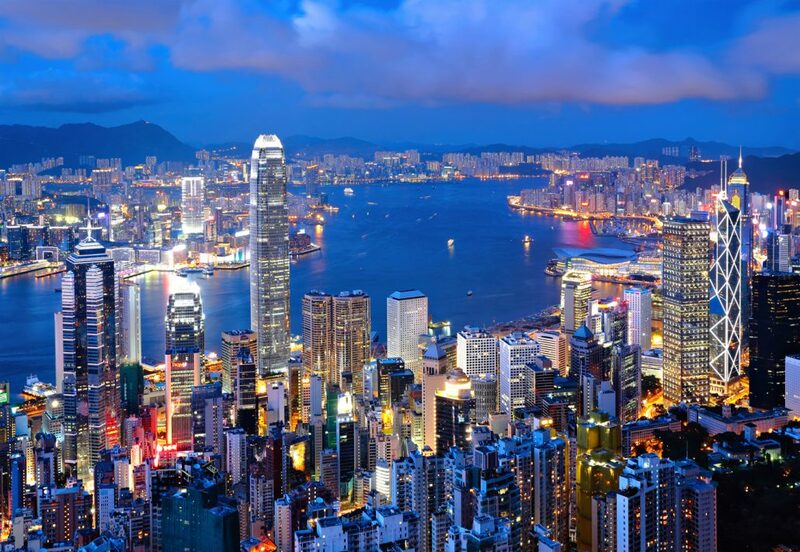 Hong Kong has seen its golden days in the 1990s. Everything changed following the Asian financial crisis circa 1997. Some changes were more obvious, for instance, the drastic decrease in population growth. However, most of the changes in the underlying fabrics of Hong Kong took decades to become apparent. Salary earners in Hong Kong still work long hours, but the amount of income they take home has decreased in real terms. Many white collar jobs have been displaced owing to the rapid development of information technology. But unlike the challenge we faced in the 1980s, it seems the barrier to move further up the value chain is much higher. Let’s not forget the failed attempts like the Cyberport or the Science Park. Meanwhile, Hong Kong is losing its appeal. We are no longer the most efficient place to do business. On the contrary, our neighboring cities are opening up for more trade and welcoming new residents. We will not even be one of the top five ports in the world. Since last year, foreign carriers have been lobbying for the relaxation of cabotage in China. As Hong Kong is currently not regarded as a Chinese port and is exempt from cabotage, such a change will hit Hong Kong the hardest. It is projected if the restrictions are lifted, Hong Kong may lose up to 2.4 million twenty-foot-equivalent units in transshipment cargo, i.e. 12% of the total throughput in 2015. Transshipment volumes, as it currently stands, make up of 70% of the port’s throughput in 2015. Transshipment is a business which requires a large volume to attain the economies of scale. It is, therefore, a very gloomy outlook for the port sector if nothing is done at the end. It is unreasonable and unrealistic to expect China to stay put simply to protect the interests of Hong Kong. However, the Hong Kong government should consider how to cut down the red-tape and make it easier for shippers to do business in Hong Kong. There was a public consultation earlier this year proposing a single window approach to handling import and export documents. I cannot see any reason why we should not go for it as soon as possible. Cutting costs, however, cannot make Hong Kong’s ports great again. We must ask what it takes to enable us to create value in the global supply chain and the government should engage in the dialogue and not be afraid in standing up for Hong Kong’s best interests.